From breath-taking 2D through to its spectacular performance in 3D Clarus XC, the new revolutionary screen technology from Harkness Screens allows cinema exhibitors to dramatically improve cinema presentation. 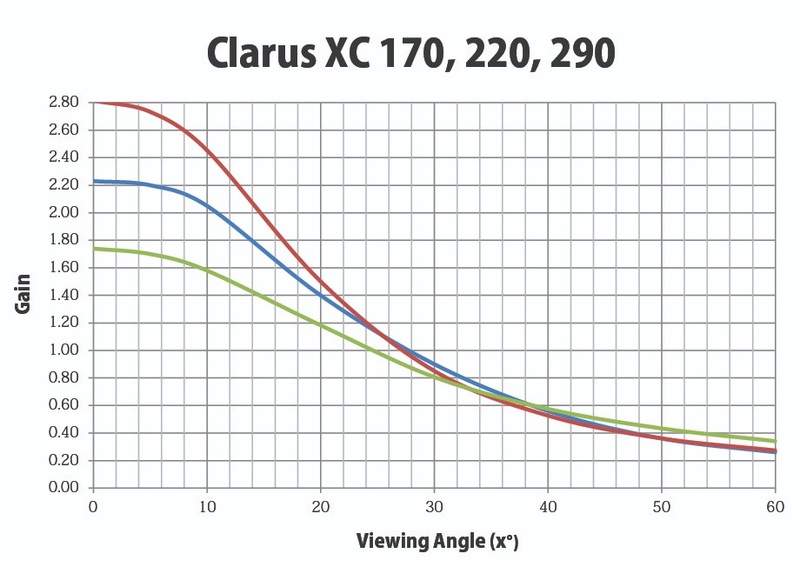 Clarus XC technology is the result of significant work by Harkness’ Research and Development team and brings together a number of proprietary technologies to create a screen surface for the age of immersive cinema. Designed to work with all passive 3D systems and approved by 3D manufacturers including RealD, Clarus XC screens create visibly deeper 3D content which is designed to draw in the audience creating a more captivating viewing experience. A whiter look under projection mean that colours look visibly richer and more accurate both in 2D and 3D resulting in a more defined, sharper and crisper picture. The new 4th generation d-smooth coating technology has specific properties more commonly seen in white screens. 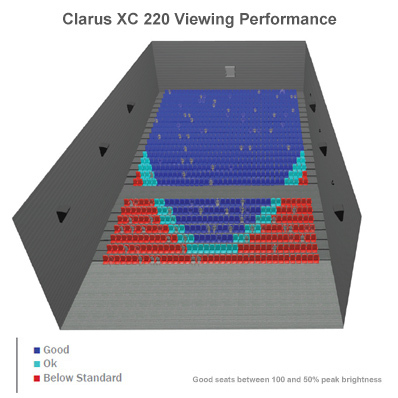 This technology enables Clarus XC screens to benefit from significantly improved light distribution compared to traditional 3D silver screens. Through this, visible hot-spotting is reduced and uniformity is greatly increased, making compliance with 2D industry standards more easily achievable. 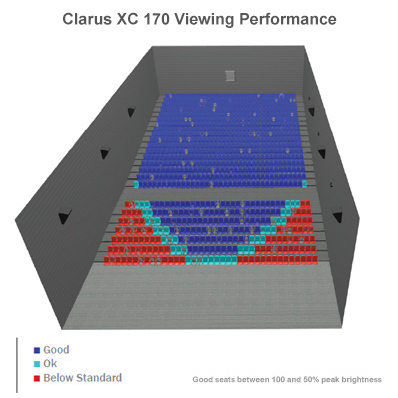 Clarus XC technology is available in three different gain levels, 1.7, 2.2 and 2.9 designed to suit all cinema environments from small screening rooms through to large format theaters.